Instead of OpenScad I’m now convinced that I should go with SolidWorks, so whoever bids for this project must have SolidWorks experience. Experience in injection molding is also required. There will be a number of stages to this project, but for now I will only define first two. 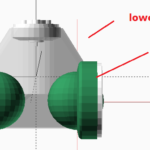 Stage 1 is to create models for non-plastic parts such as motors, boards, etc. Also arrange the sizes of the body parts. I expect you to come up with reusable modules for motor mounding, board mounding, sensors, etc. I also expect to get a skeleton assembly model resembling this. 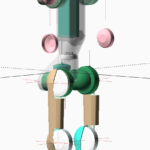 Stage 2 is to create detailed model for lower body+heap. All the motors, boards, etc. that you designed in Stage 1 will have to be used here. Both parts will have to be 3D printable and moldable. In the end I want you to have video Skype session with me and walk me though what you have done. This is going to be a kind of tutorial for me. 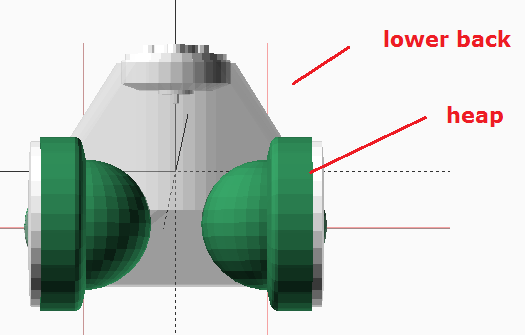 Since I don’t have experience with SolidWorks I want you to show me how to do adjustments to the model. I’d like to estimate Stage 1 and 2 as one piece of work, both in terms of duration and cost. Obviously we can split payment in several chunks. Before we begin I’d like to have a Skype screencast session with you to discuss requirements in more details.